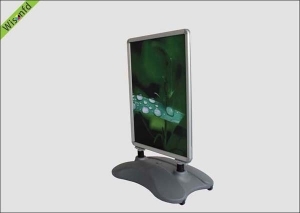 This quality Post stand display uses snap frame technology to hold two posters back to back. 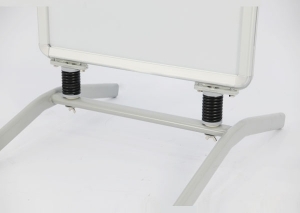 A snap frame is made from four anodized aluminum profiles that open by hand and snap shut under spring tension. Clear anti-glare covers help protect your posters from rain and dirt.